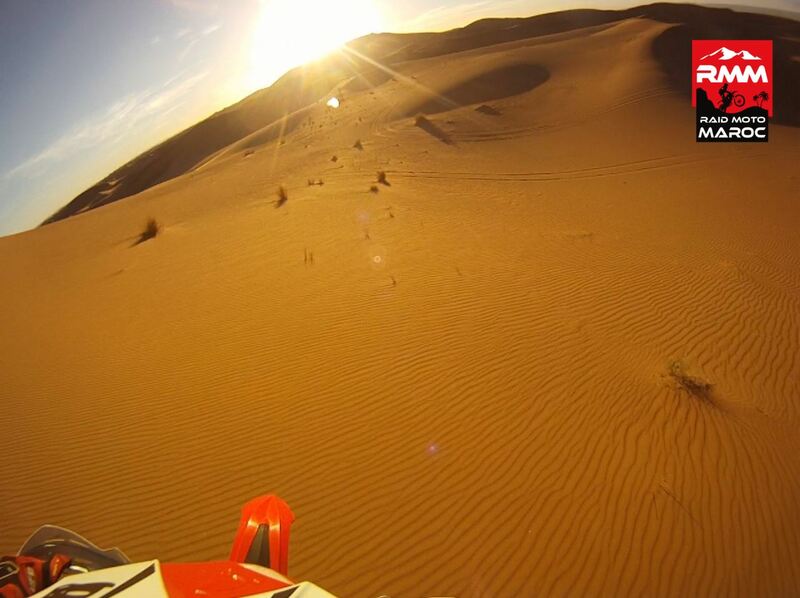 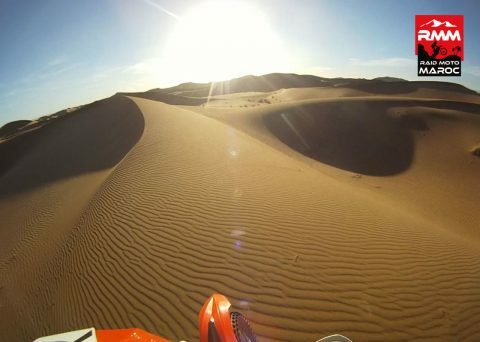 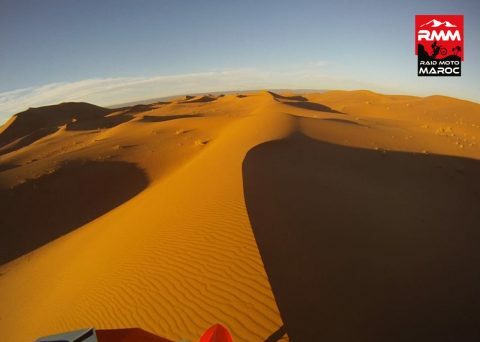 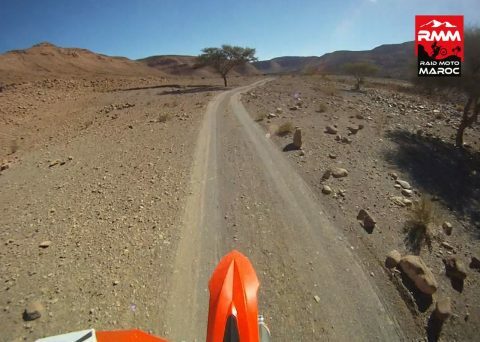 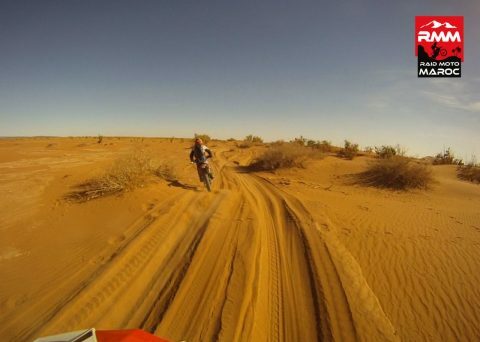 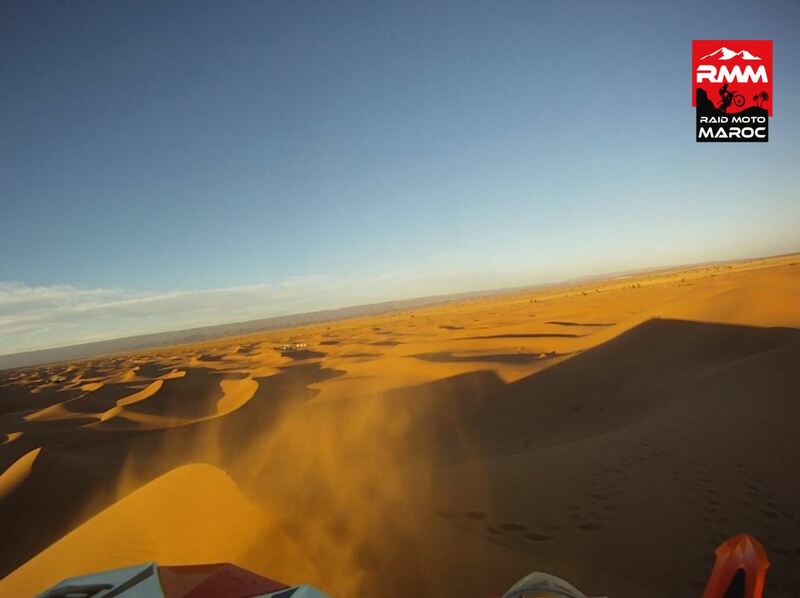 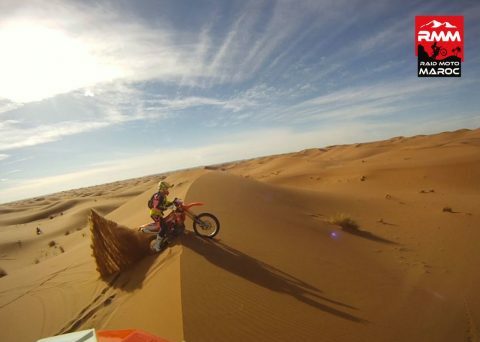 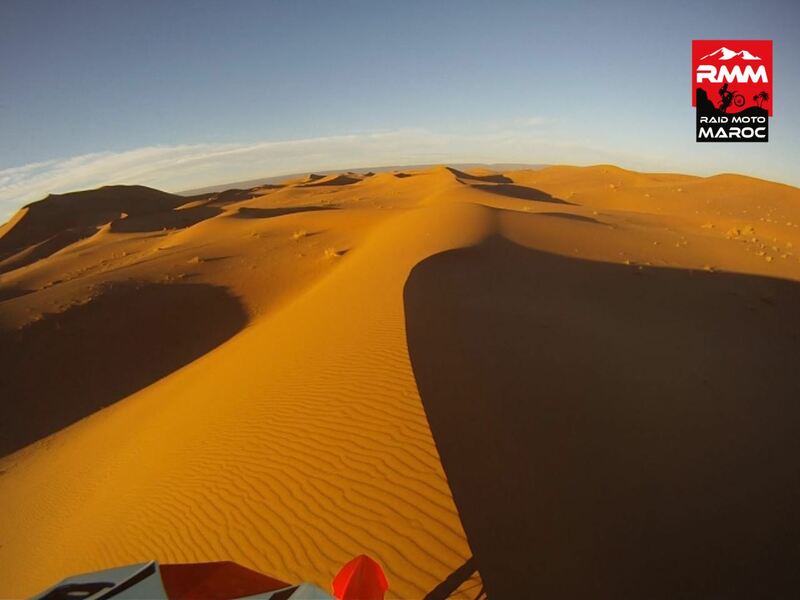 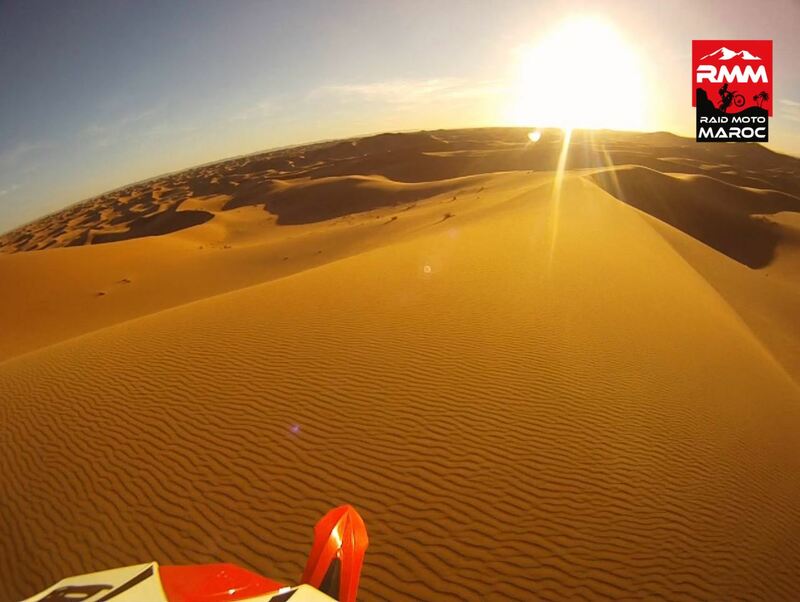 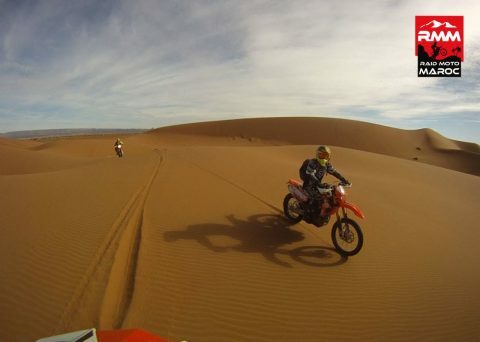 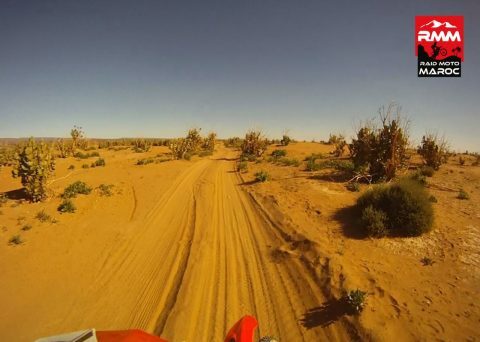 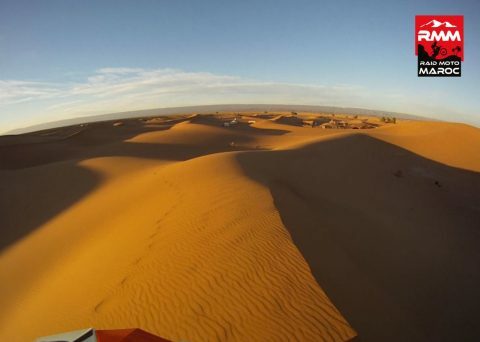 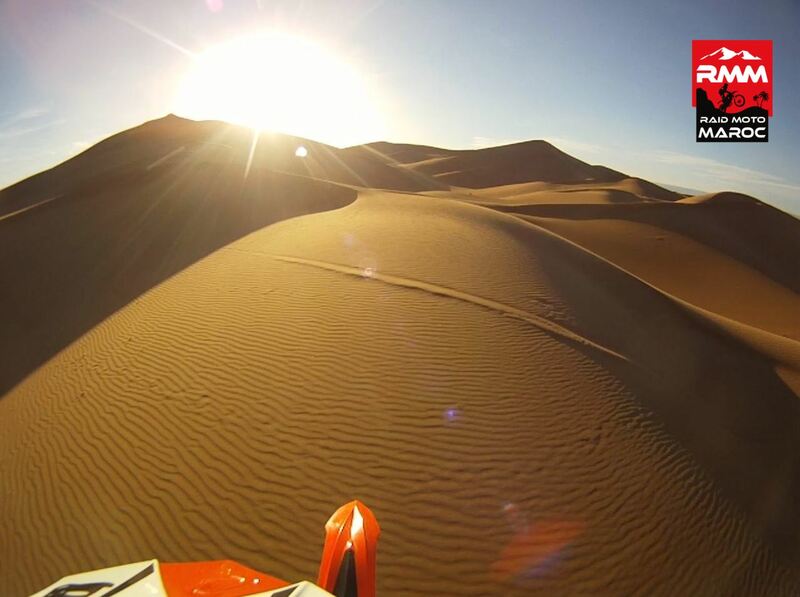 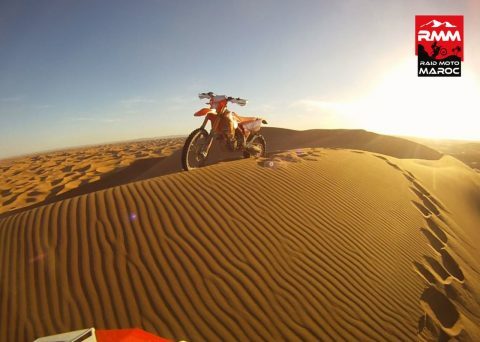 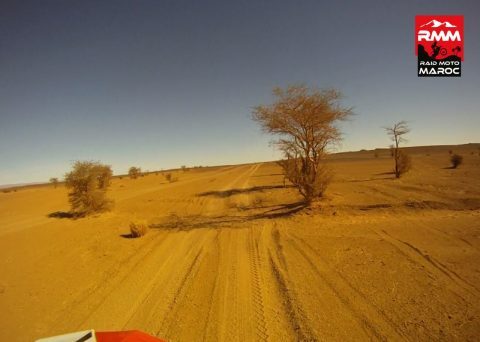 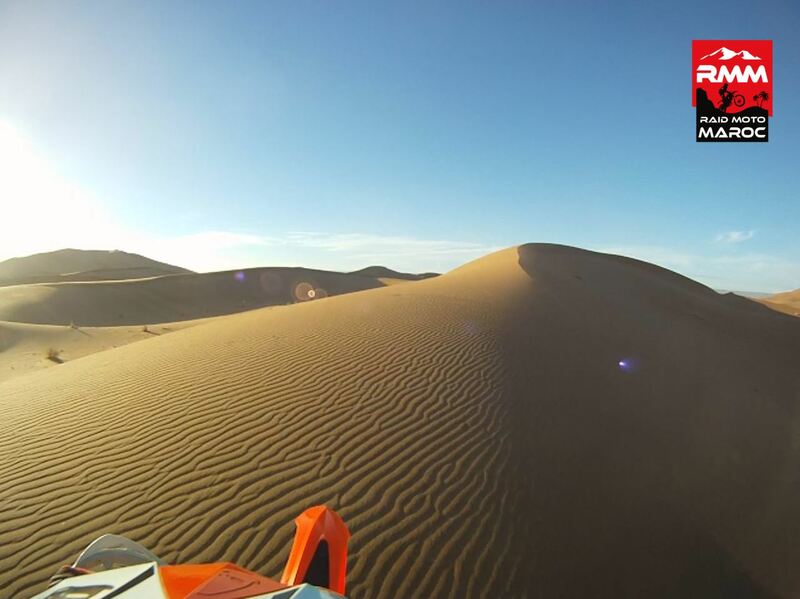 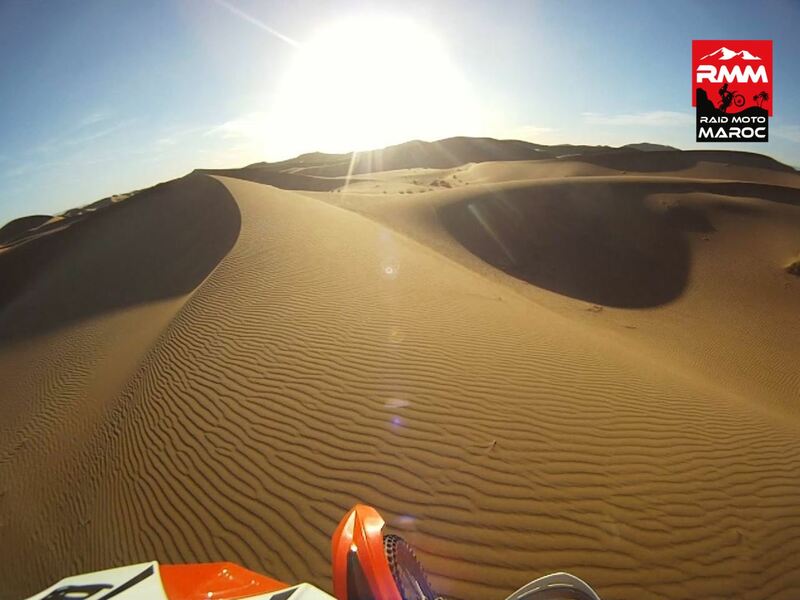 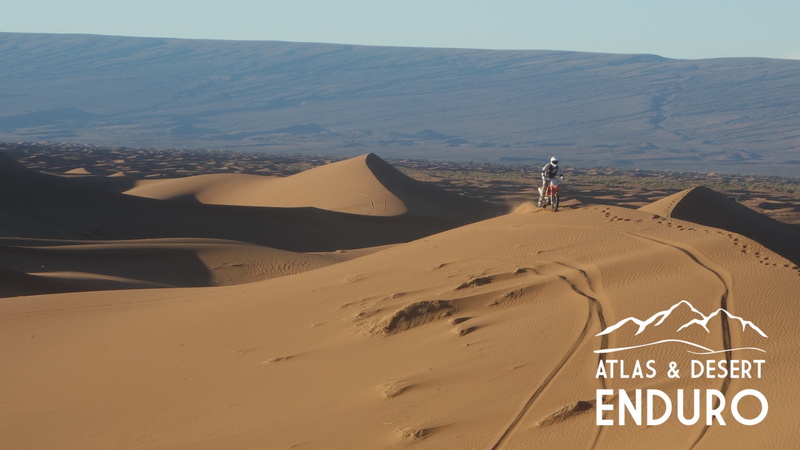 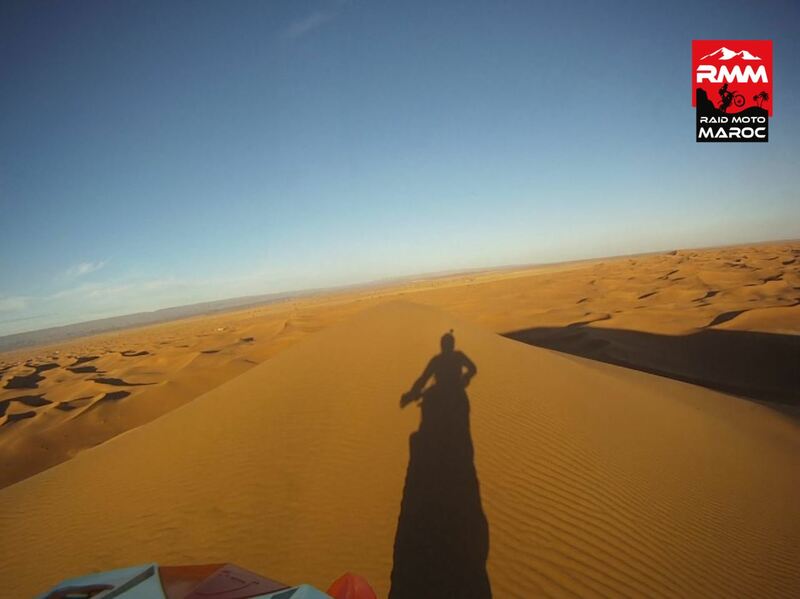 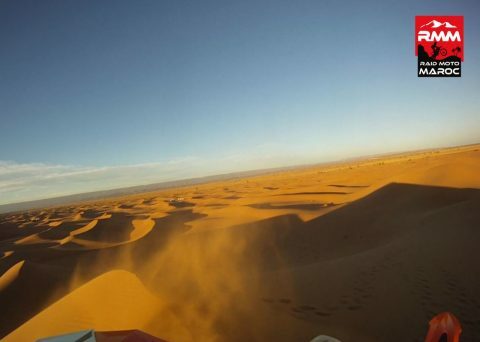 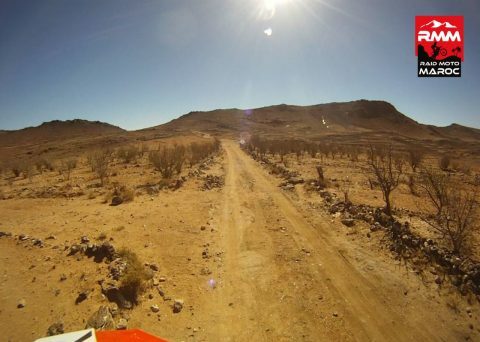 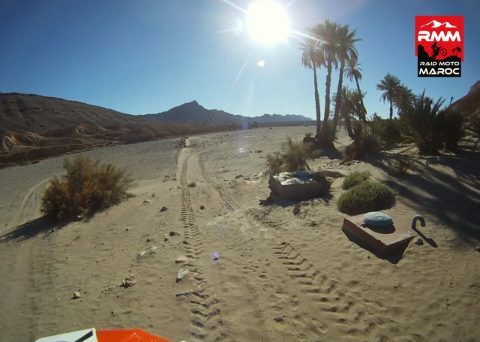 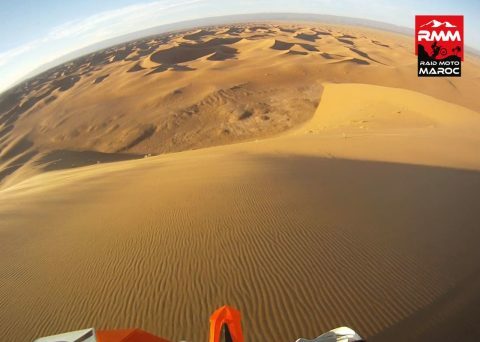 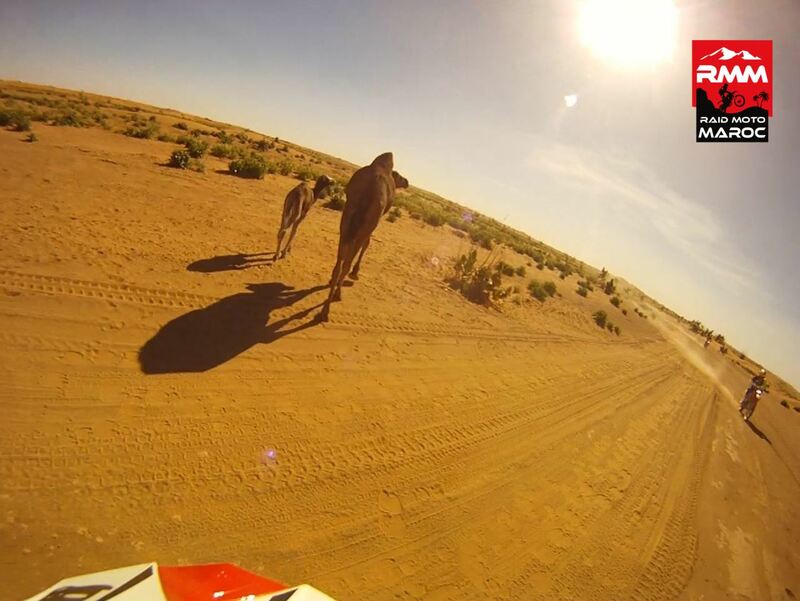 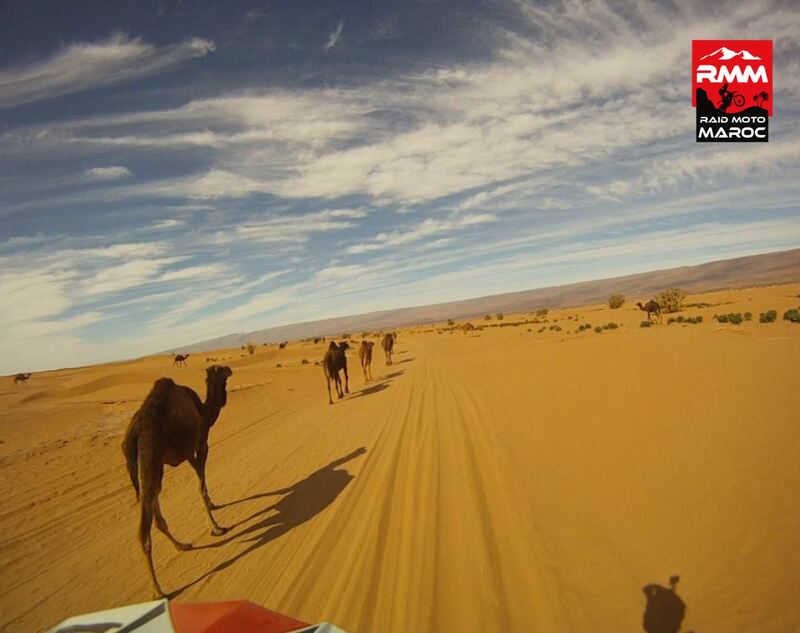 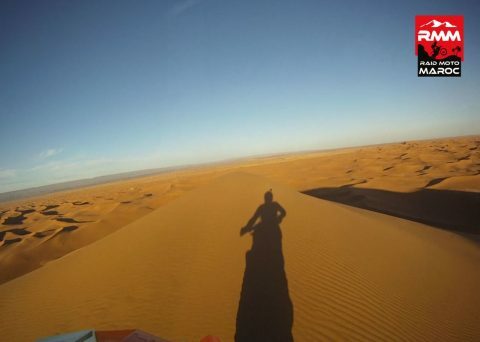 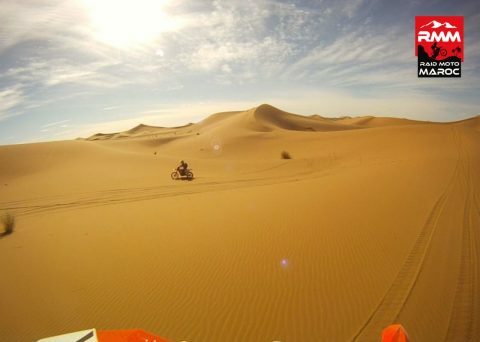 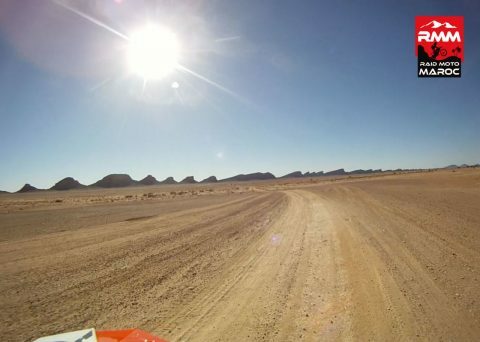 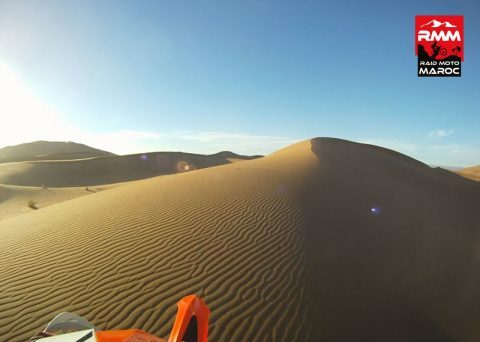 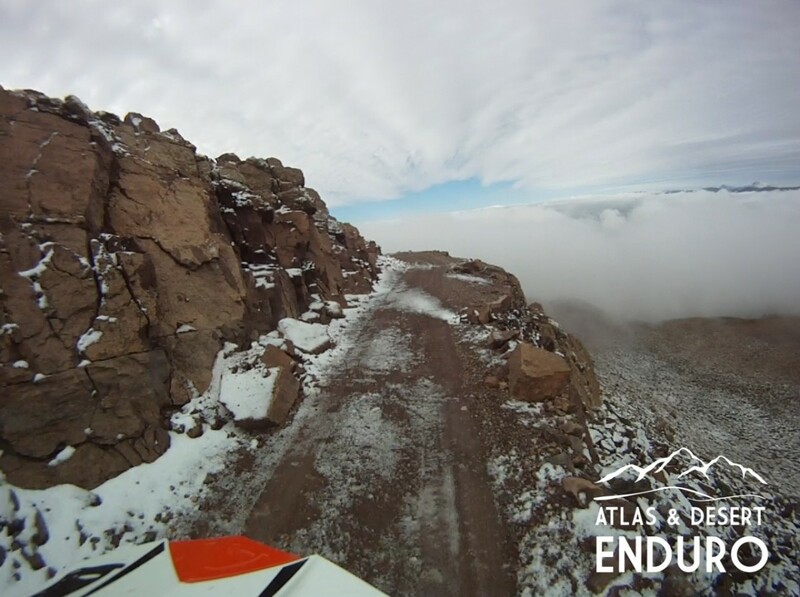 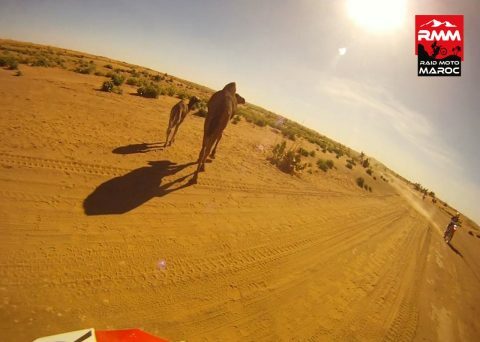 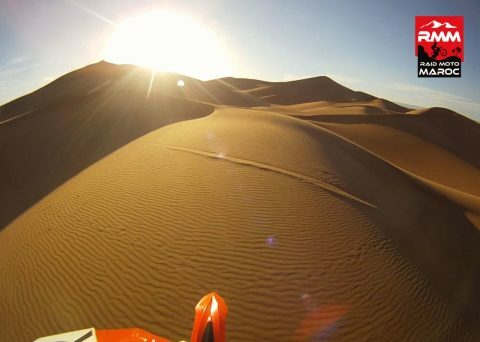 The magic of the vast plains and the diversity of the landscapes bordering the Sahara will intensify the sensation of adventure that the riding of our « KTM 450 exc Factory edition » engines already brings about. 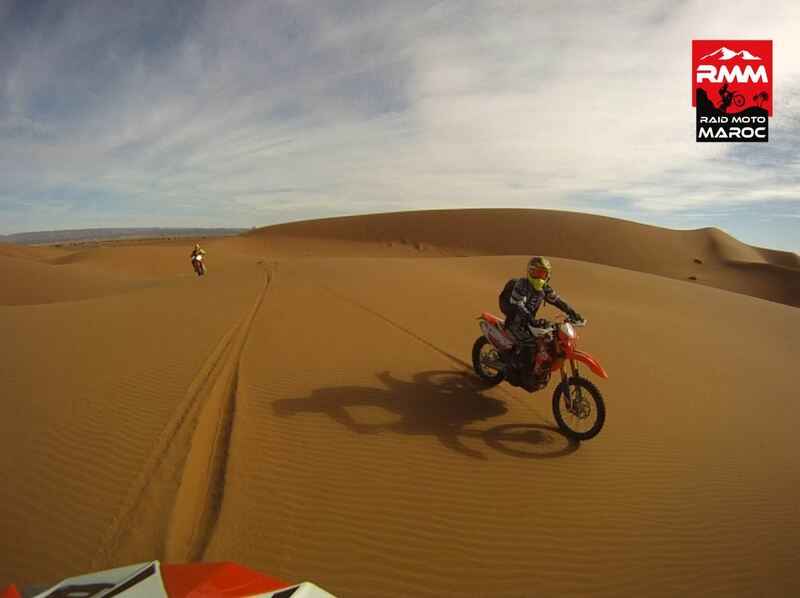 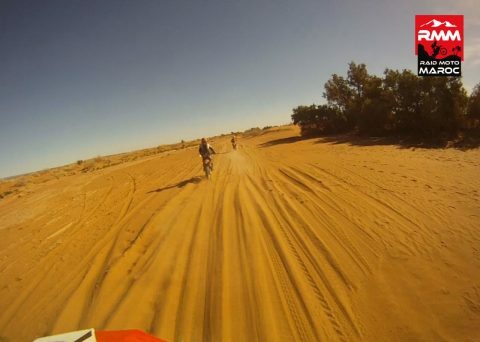 Price : 18350 Dh/ person for 8 Riders. 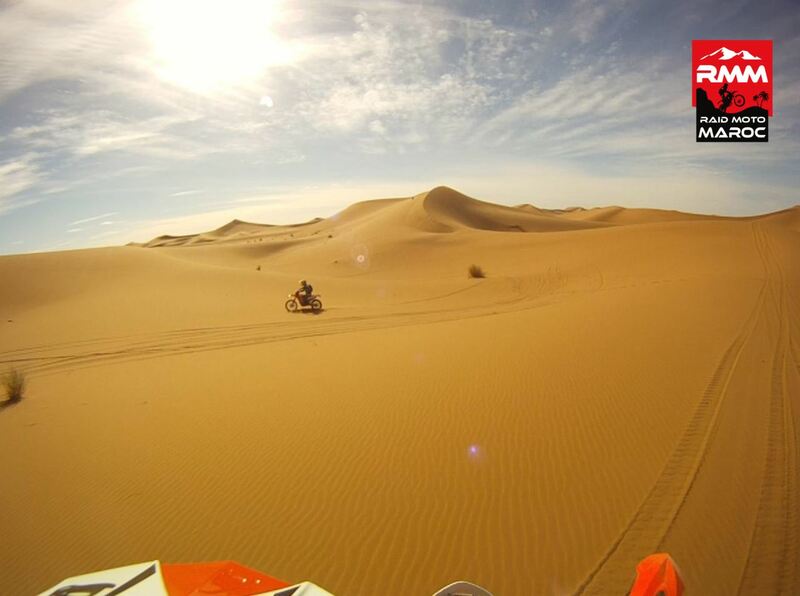 Breakfast, briefing, allocation of your motorcycles and inventory. 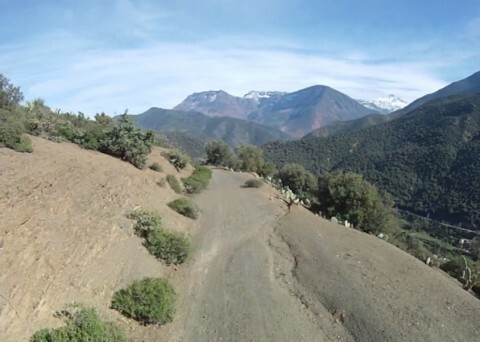 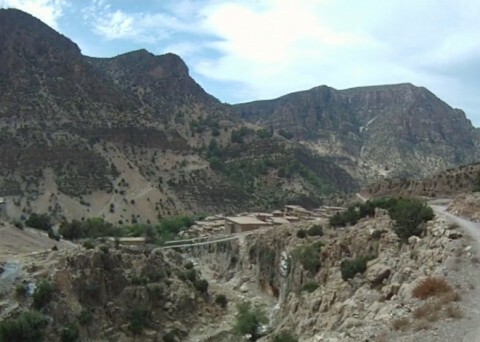 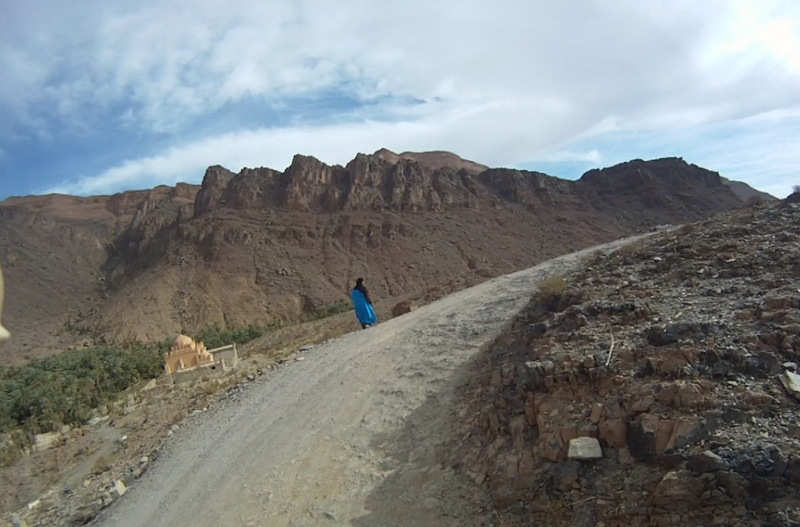 Right from the start at the hostel, the landscape is grandiose, the surrounding mountains, high and massif, let you know that you’re in the heart of the High Atlas…. 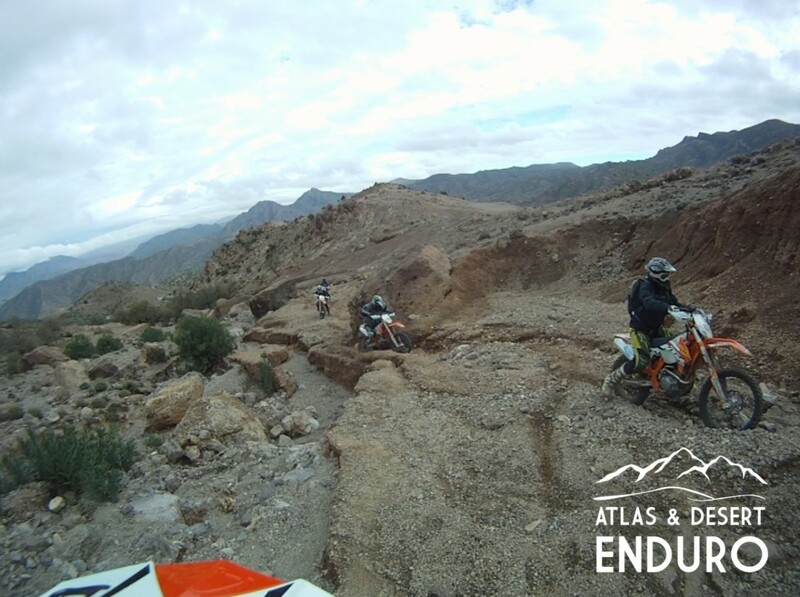 The trail climbs very fast along the mountainside, and ridges and tablelands follow one after the other…. 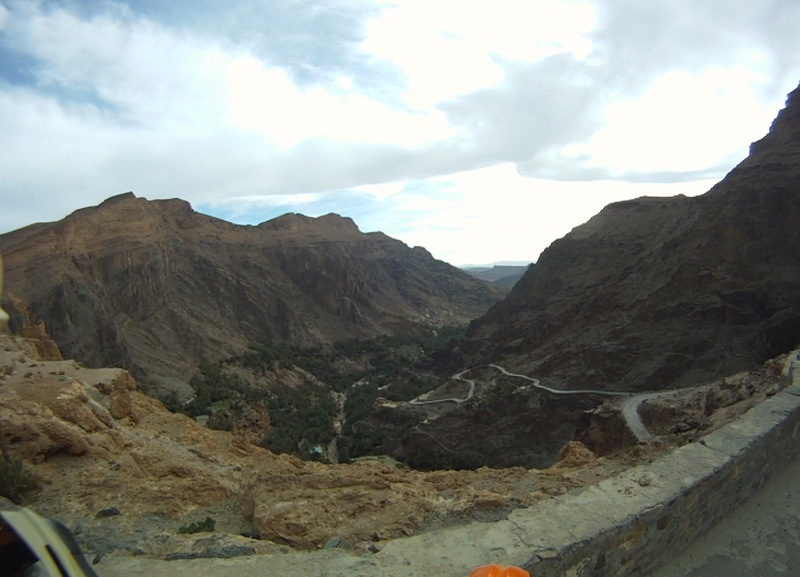 Soon we’re at 2500 m and by clear weather the vistas to the South are superb. 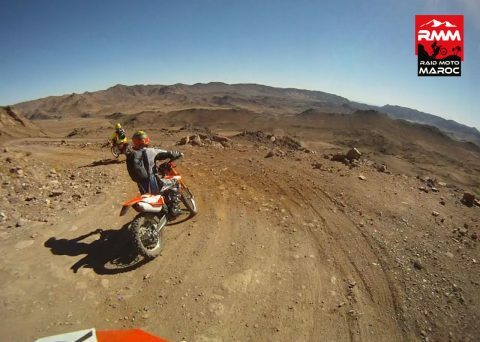 The track is exciting and descends downhill…. 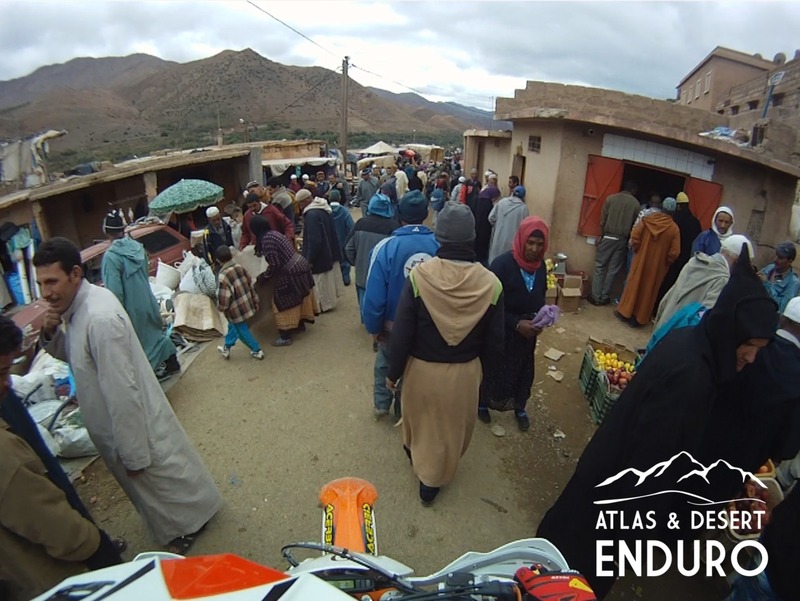 Lunch break with a local tajine while we meet our mechanic. 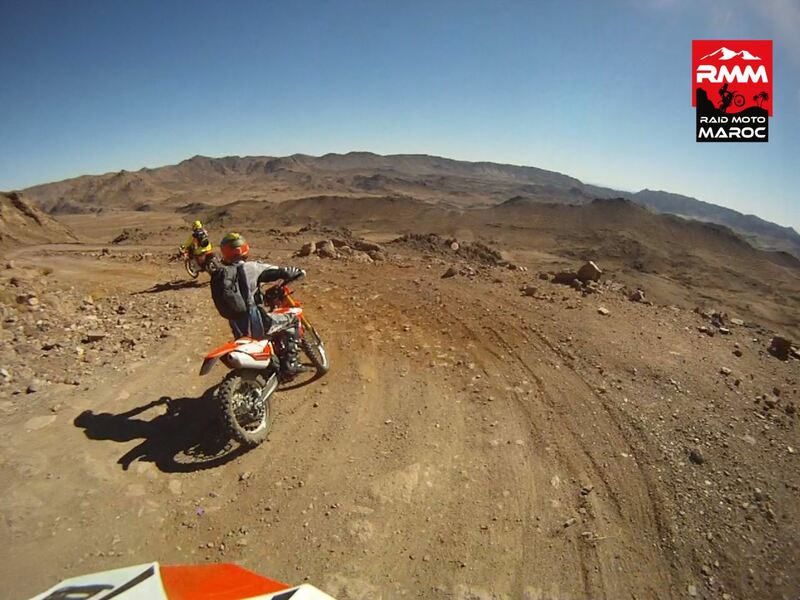 The afternoon starts with a sinuous track in the middle of a pine forest, then the hills get more and more rocky…. The last and steeper section is an exciting descend to tonight’s hotel and dinner. After some kilometres on a tar road, the track stretches out on a long and rocky plateau; it feels like being on the moon; then some cultivations appear along a small wadi, some small villages as well… On the South side of the plateau things change : in the canyon a palm tree grove, luxuriant forest, and we’re on our way to the plains boarding the Sahara, the trails open up and get easier to ride… Meeting with our assistance at a vast erosion zone and lunch. 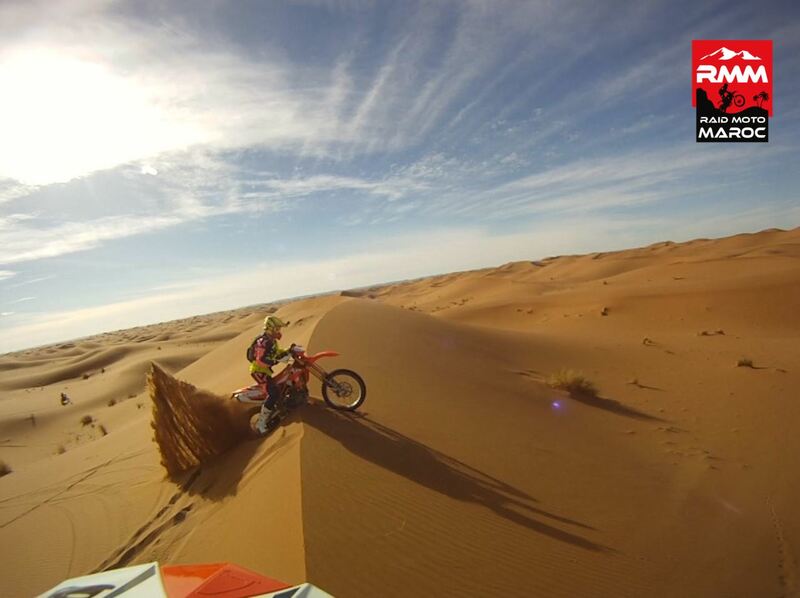 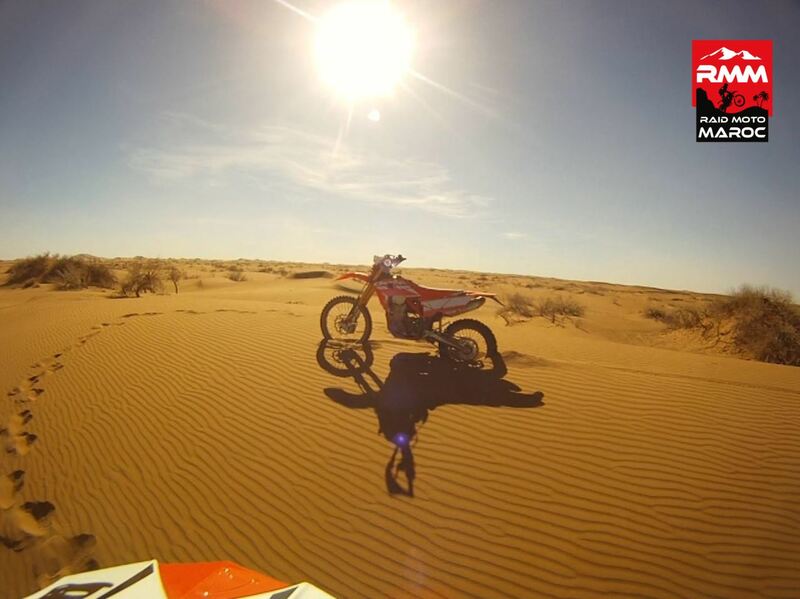 The afternoon finds us in the desert with its first dunes and some typical passes of the Great South. 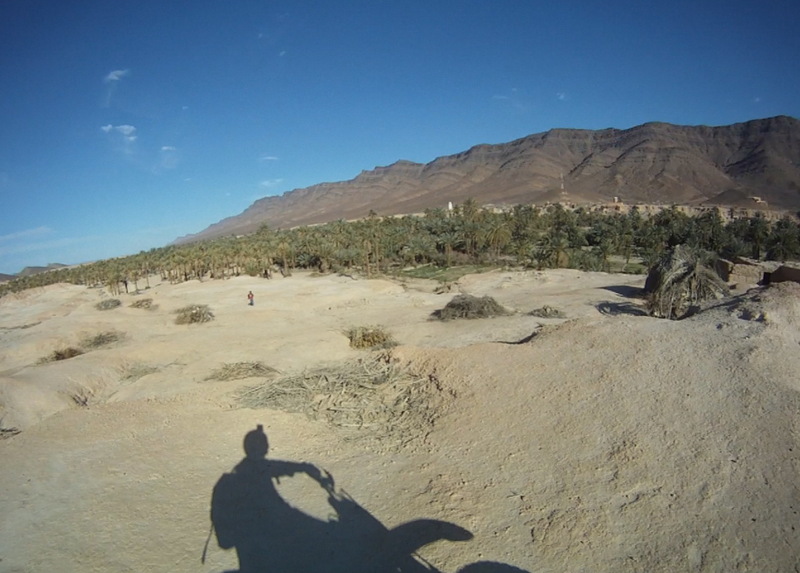 Arrival at tonight’s oasis and dinner at our hotel. 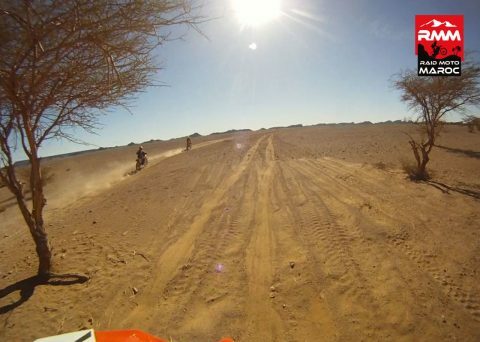 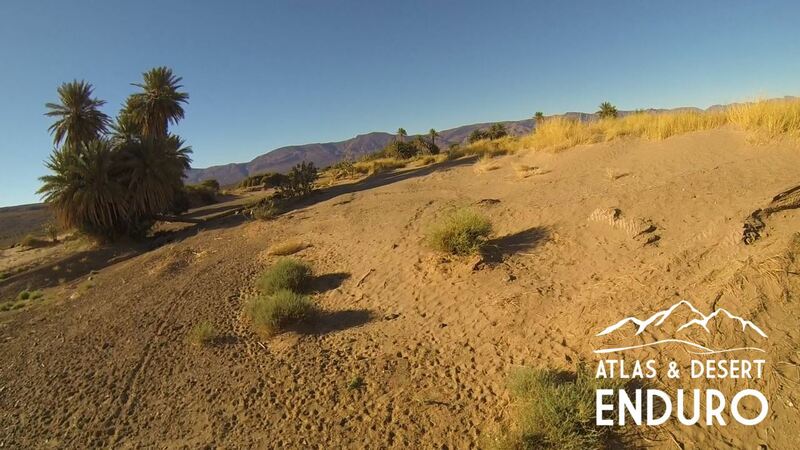 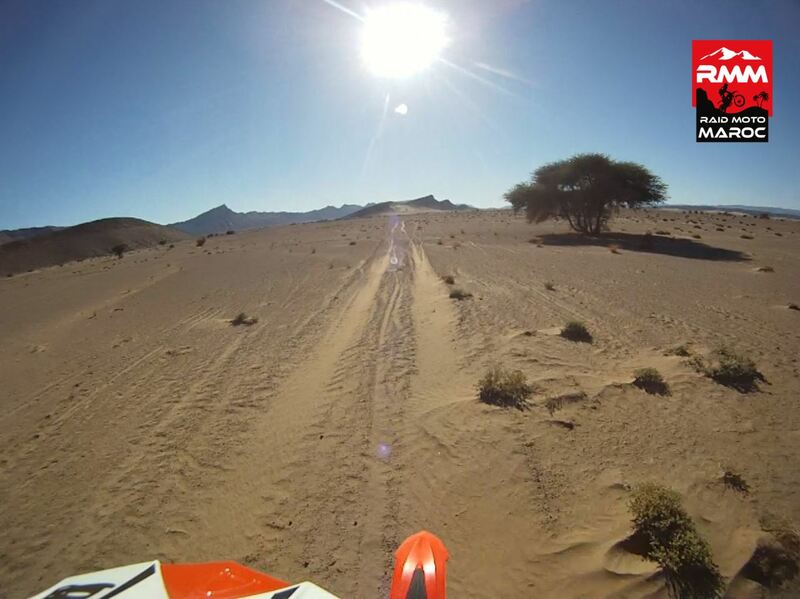 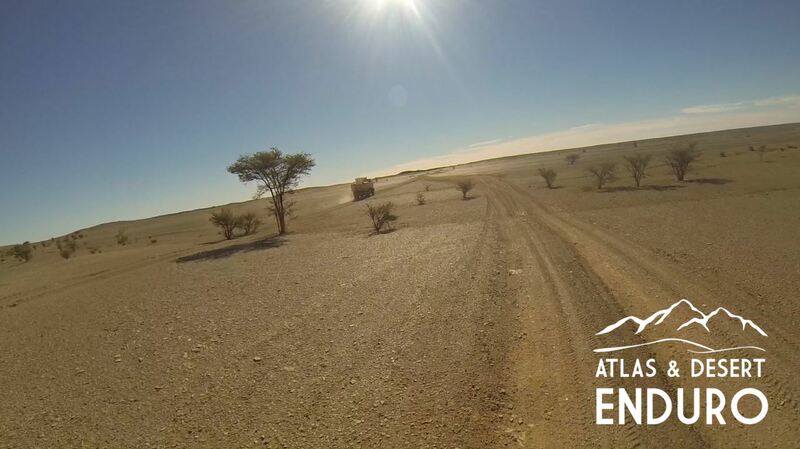 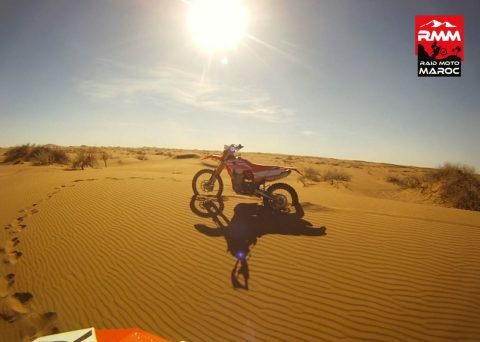 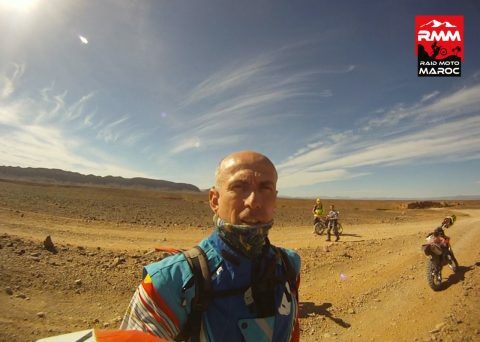 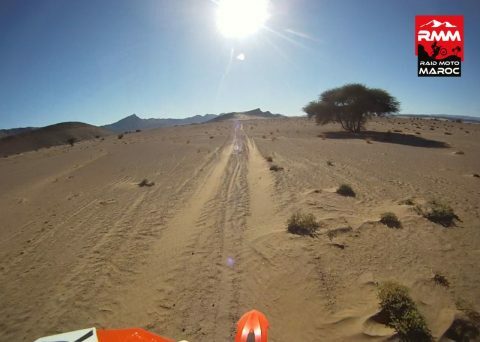 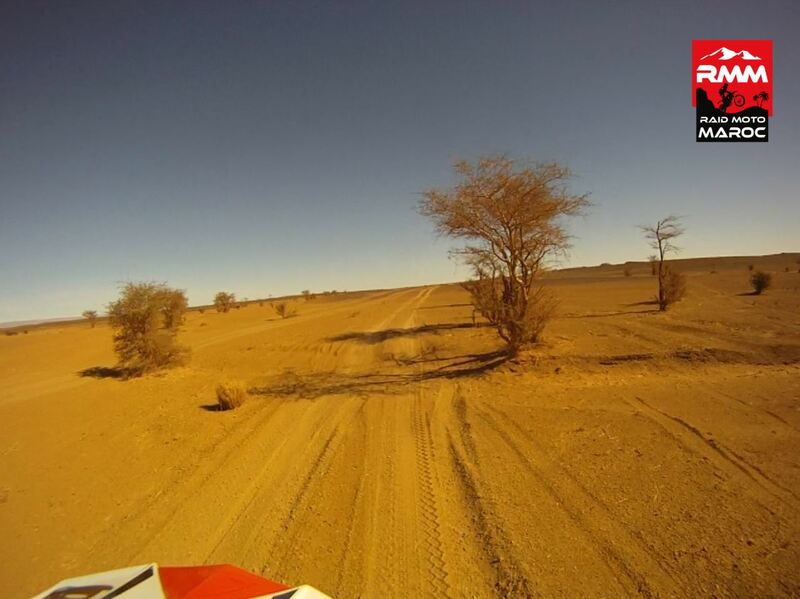 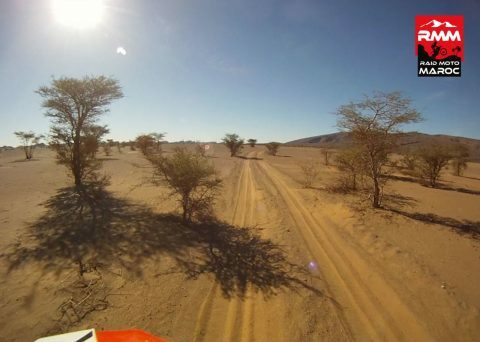 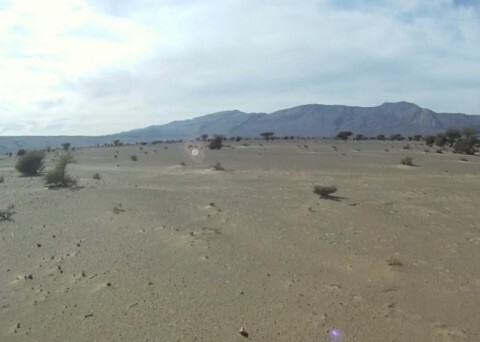 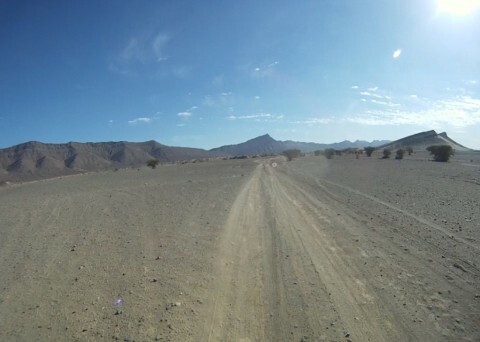 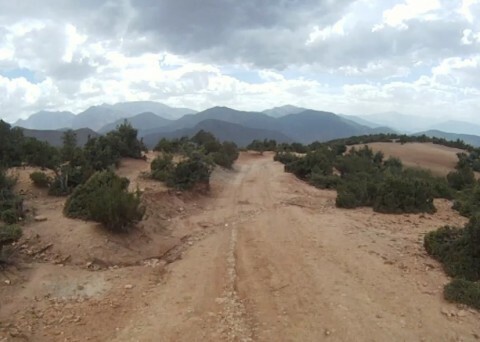 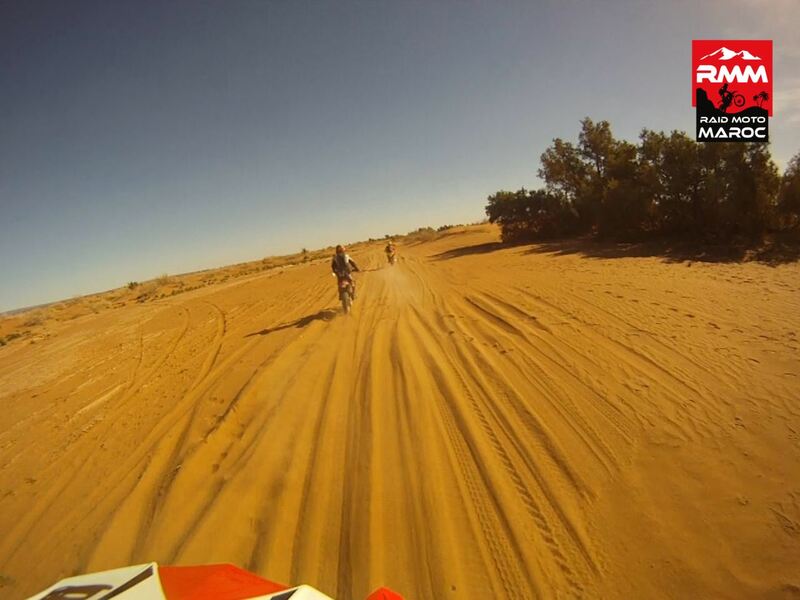 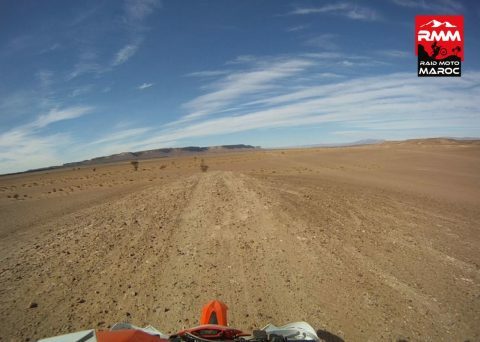 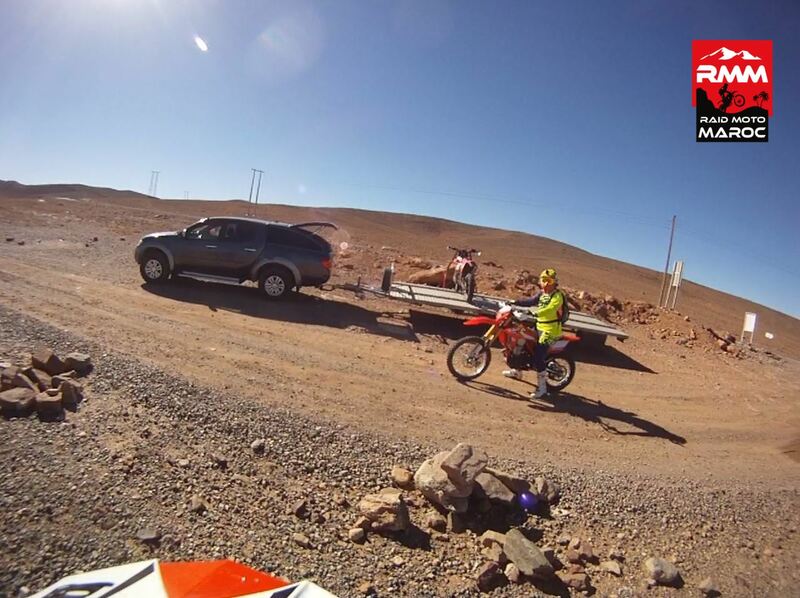 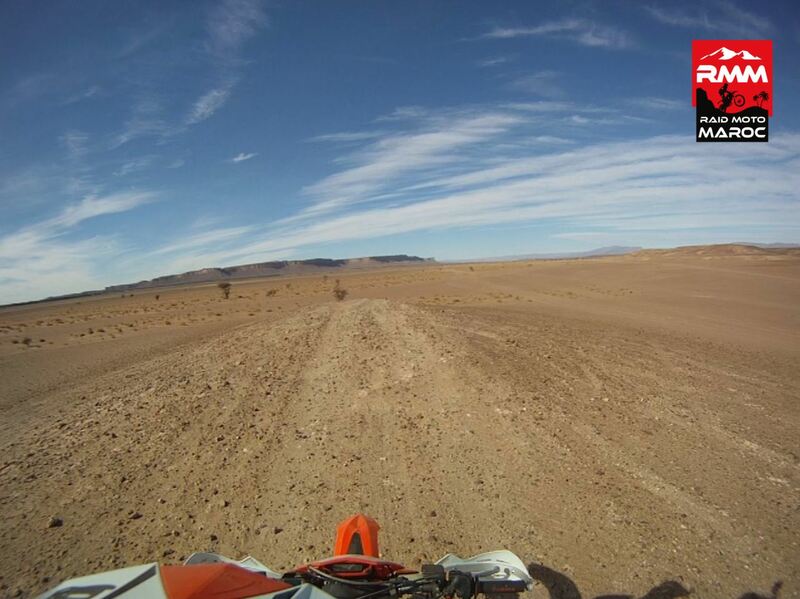 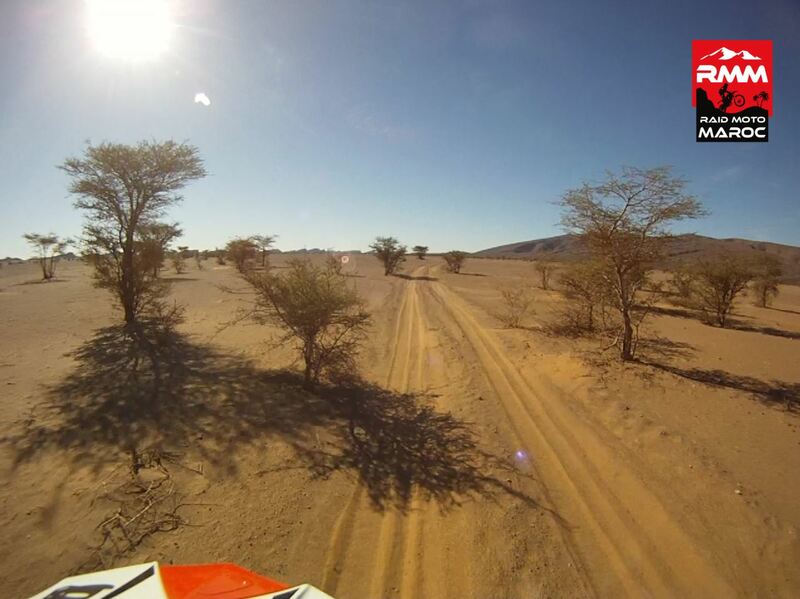 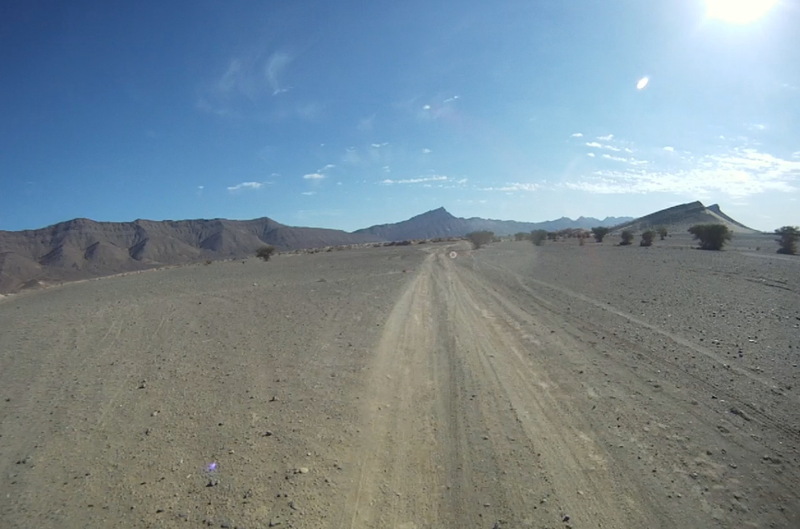 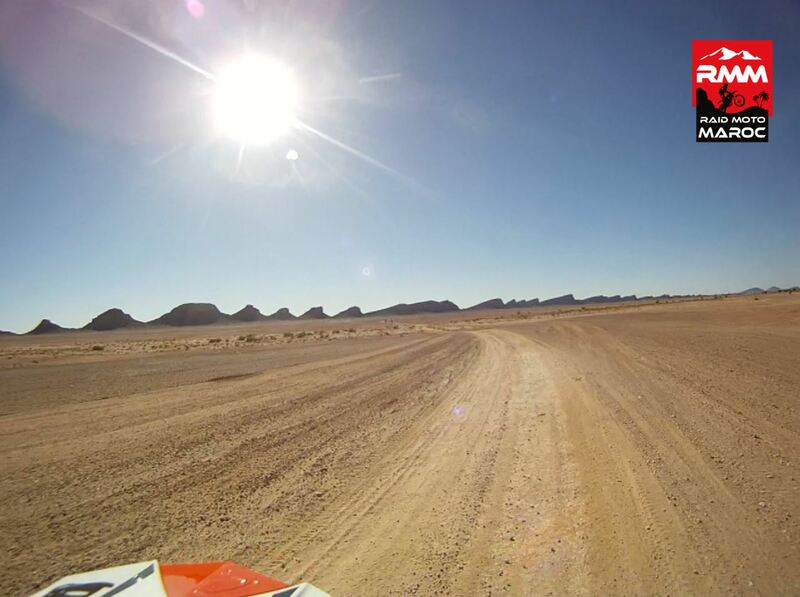 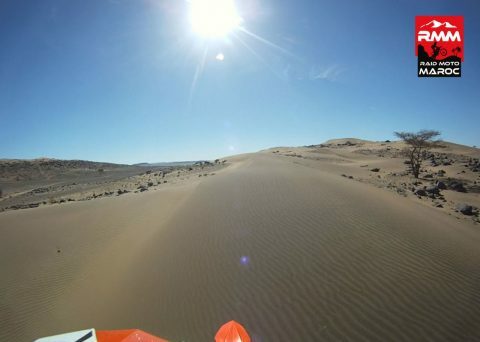 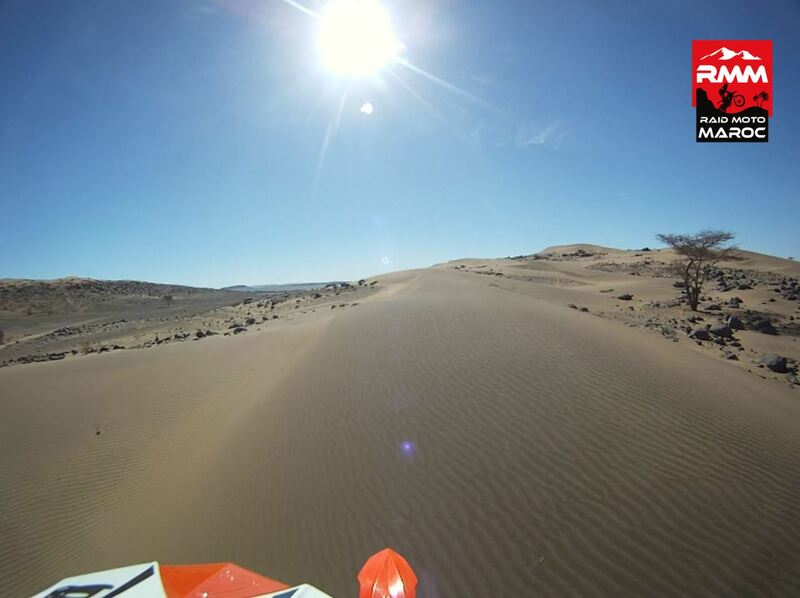 Leaving the camp on a beautiful sand track, then faster and more hilly tracks take us back to the foot of the mountains. 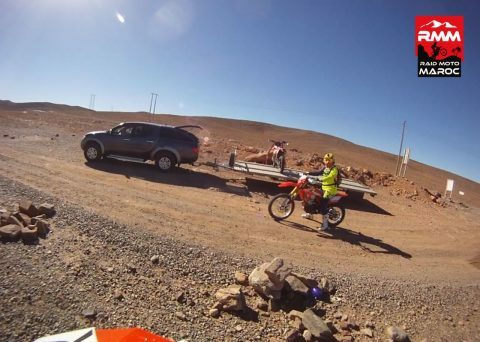 Meeting with our assistance and lunch. The afternoon is a long climb through canyons, then a massif of black rocks and finally the plains of the Siroua and their blossoming orchards (depending on the season). 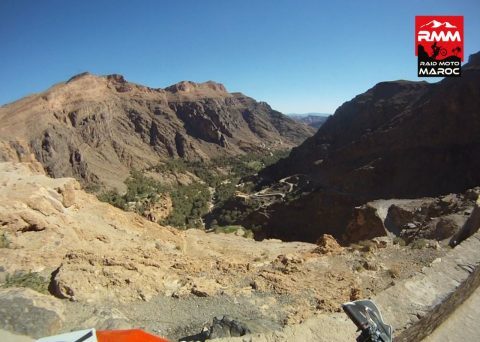 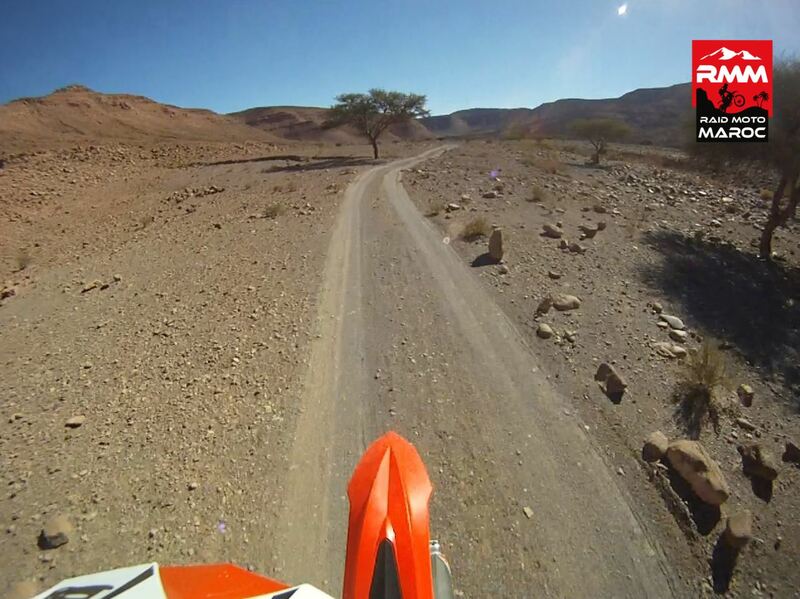 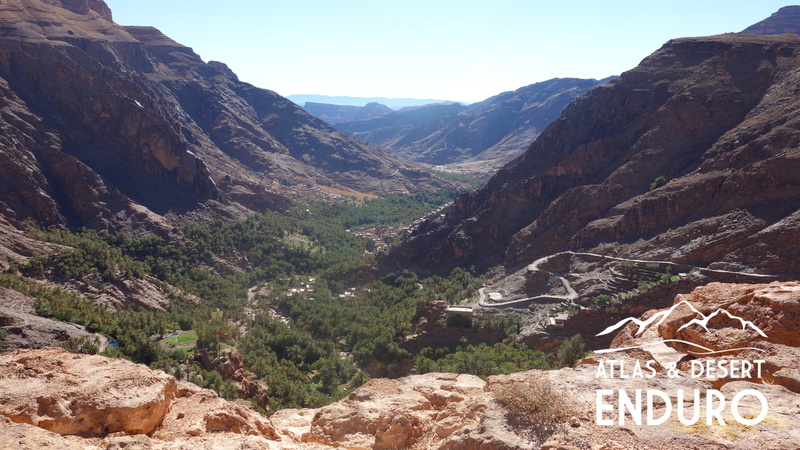 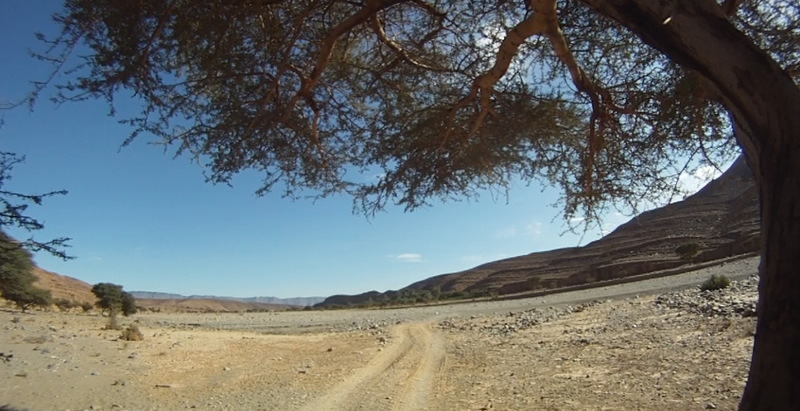 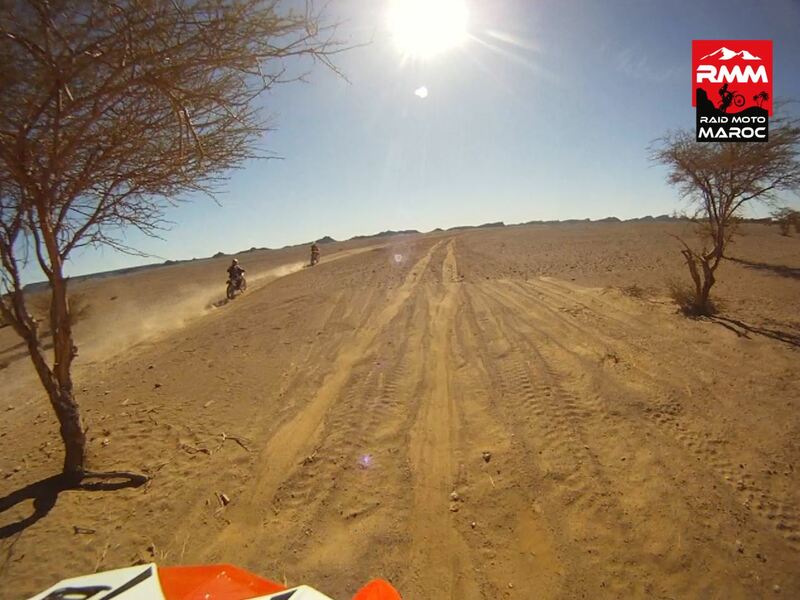 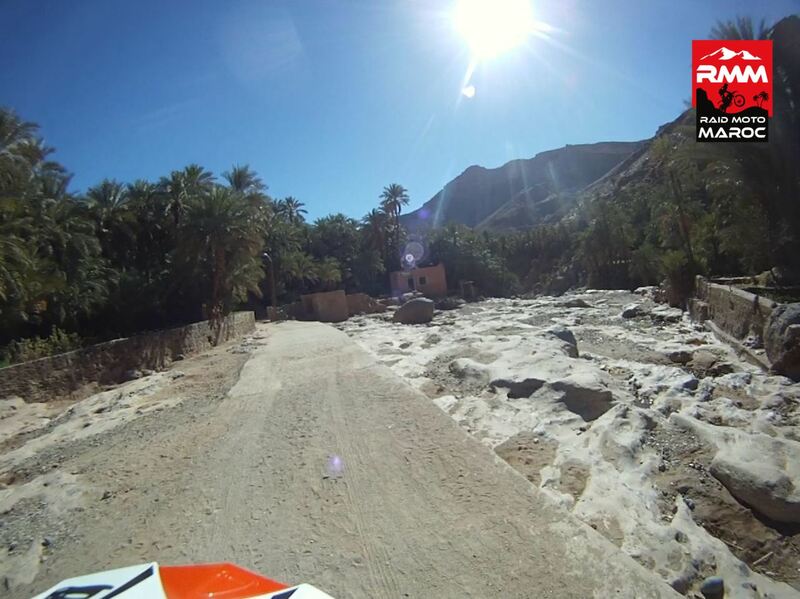 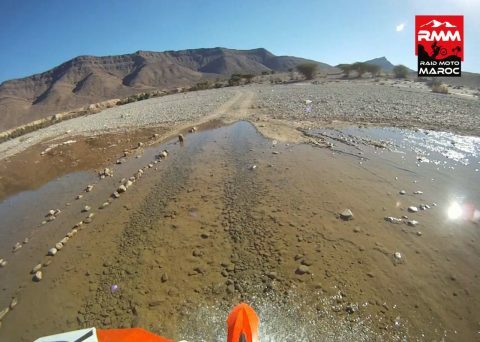 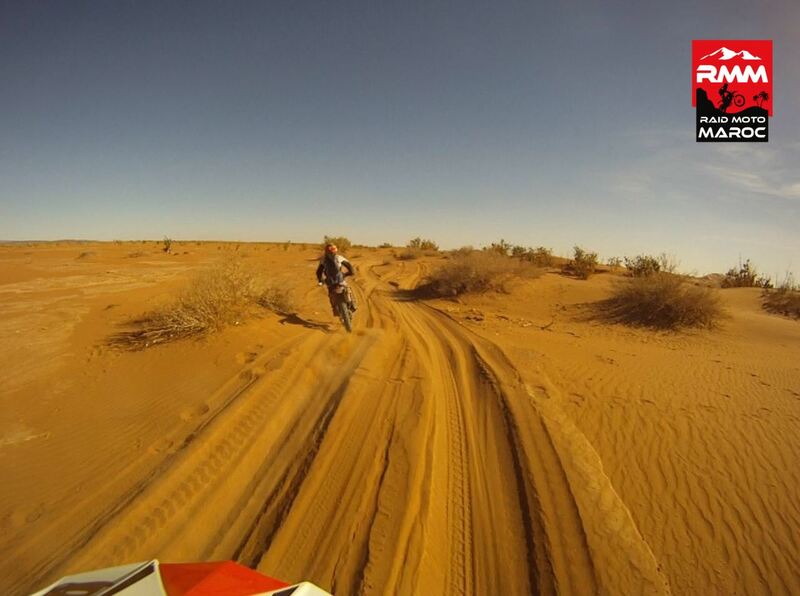 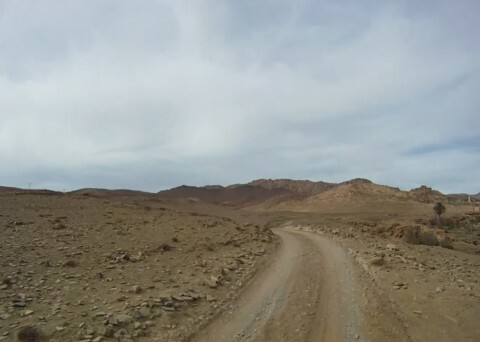 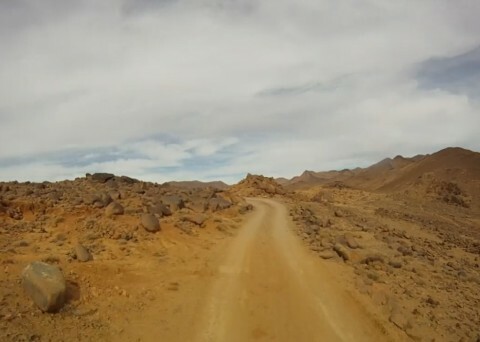 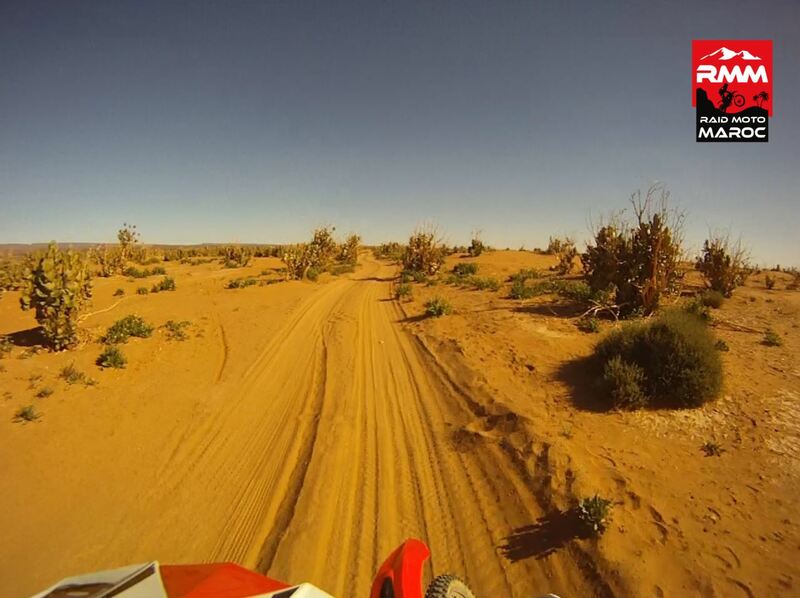 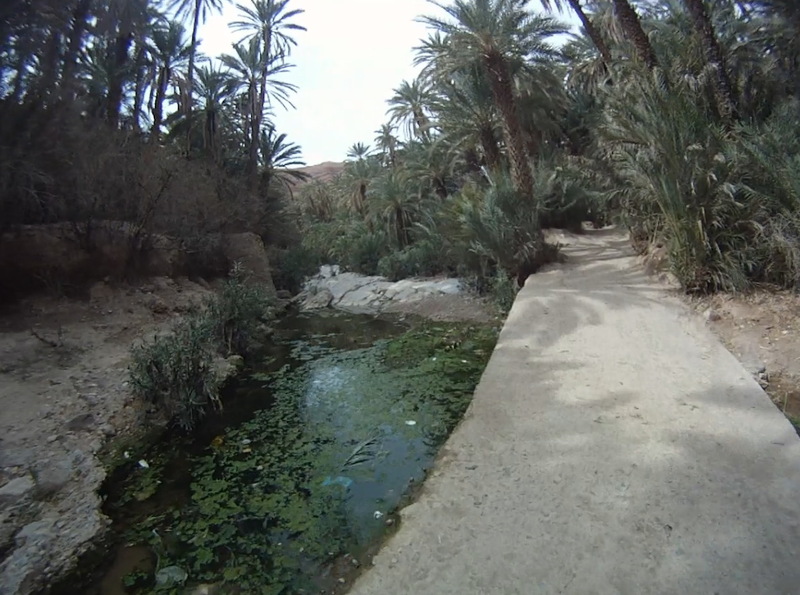 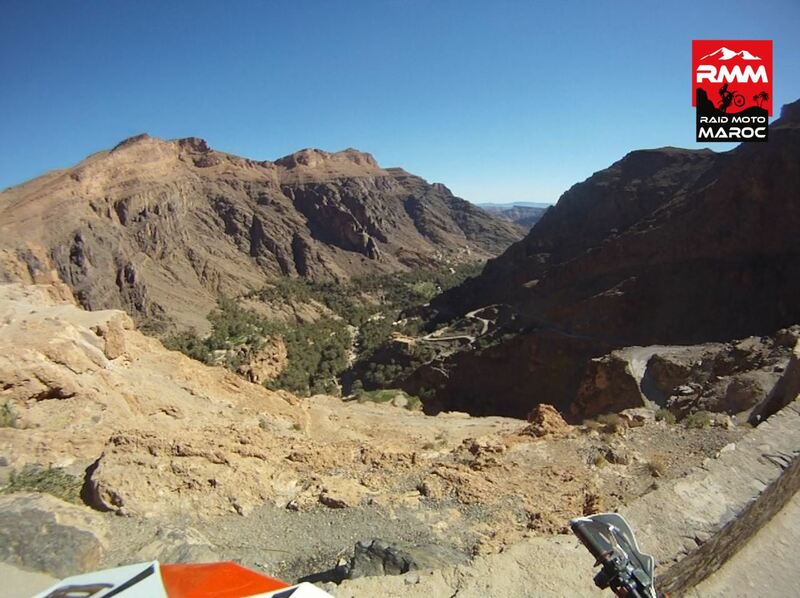 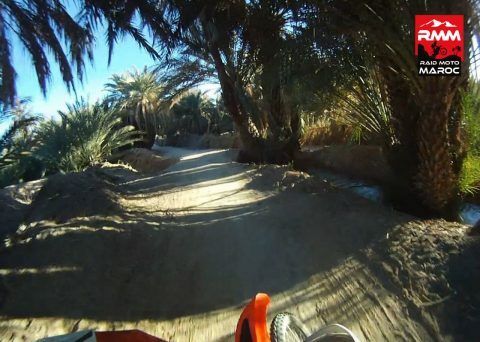 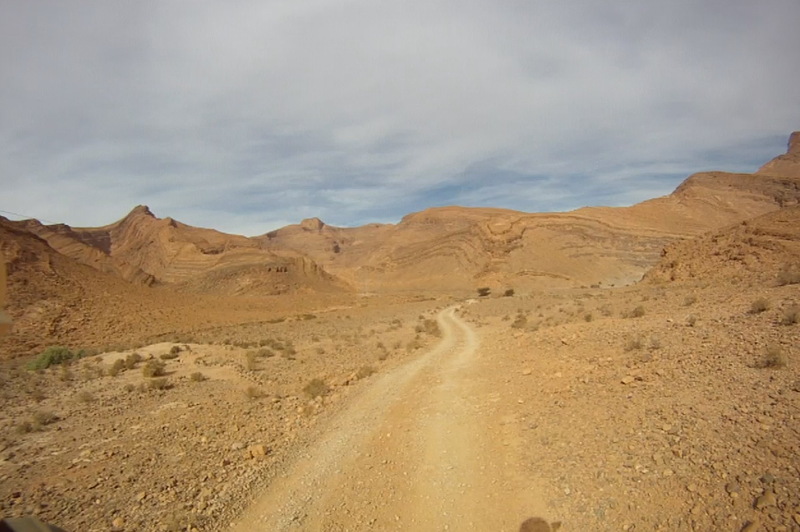 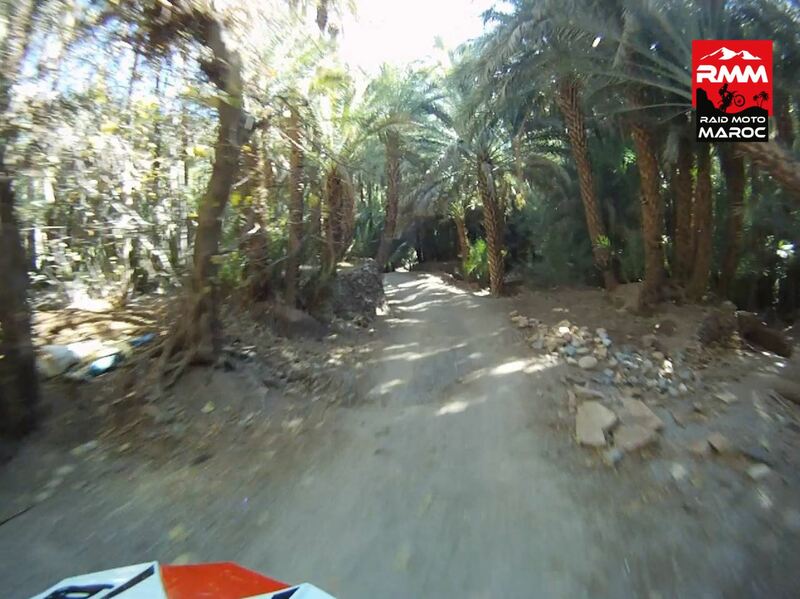 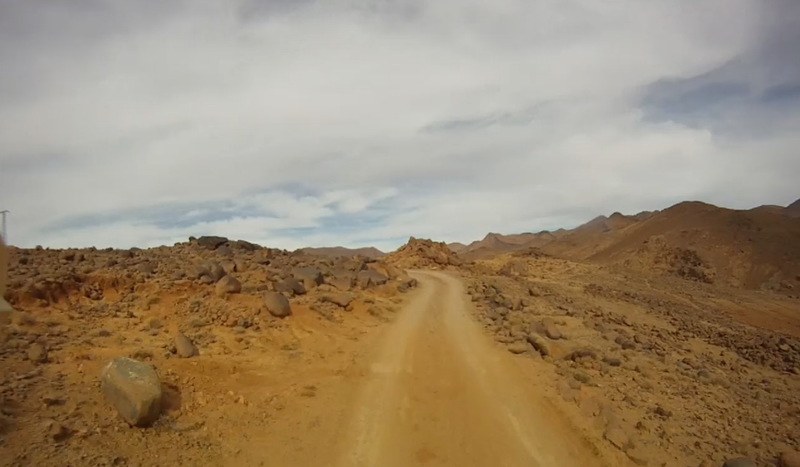 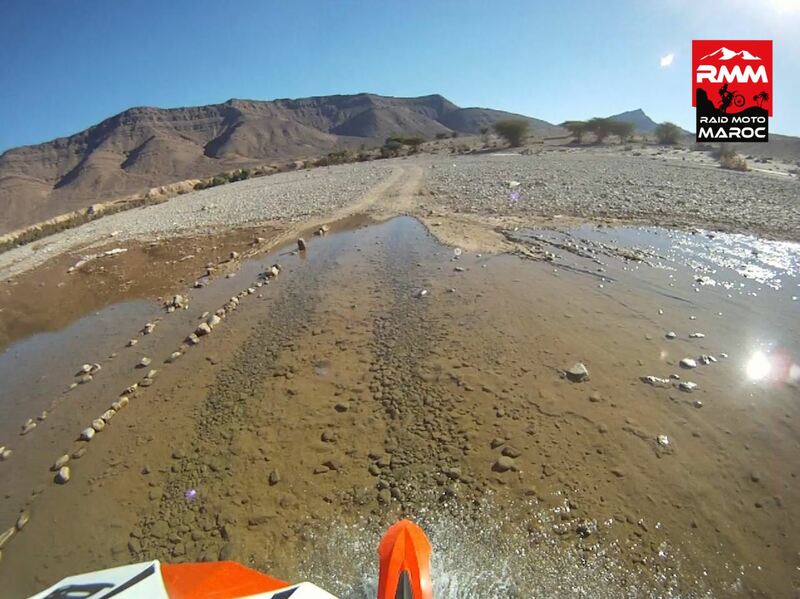 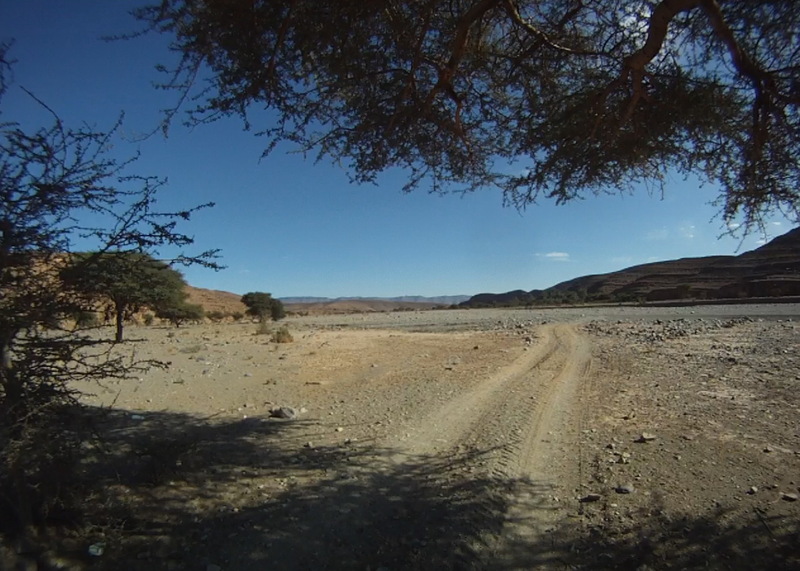 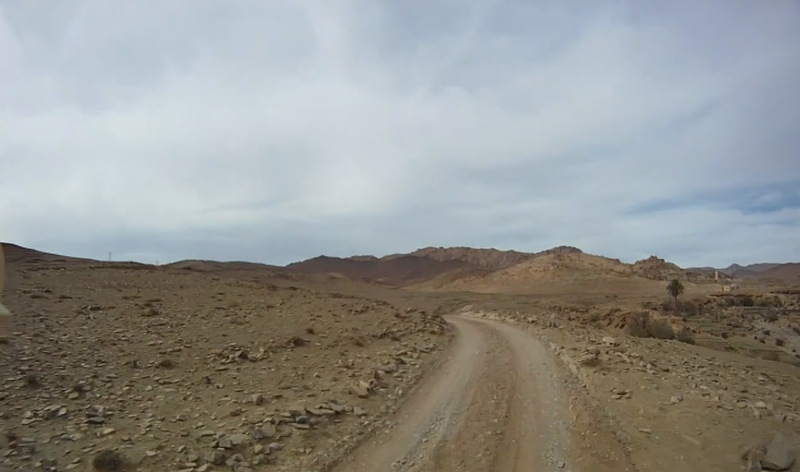 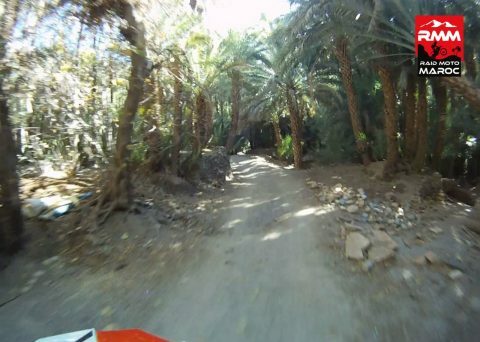 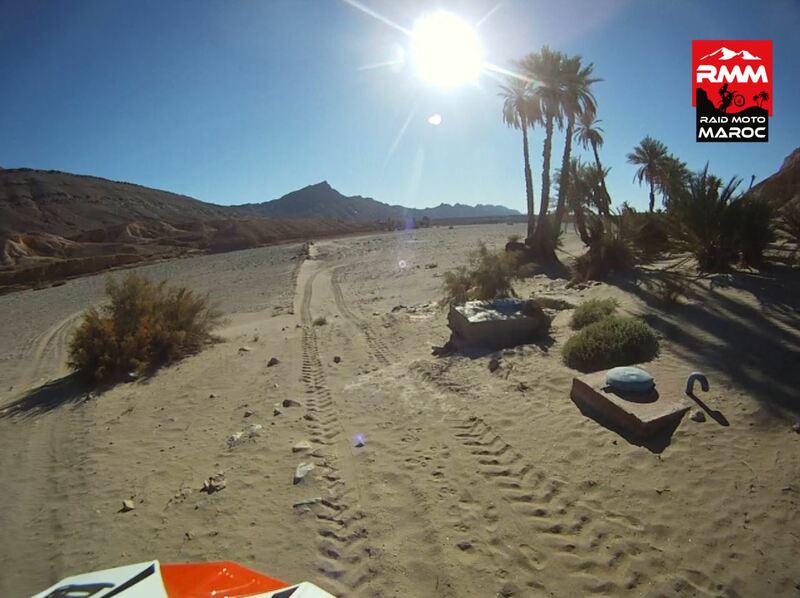 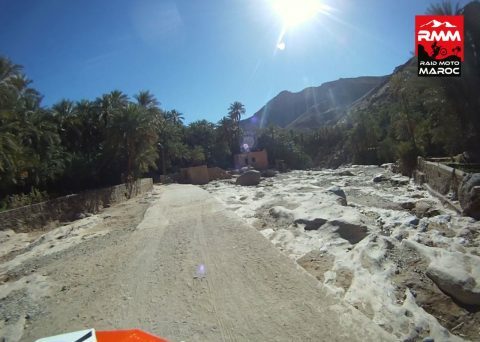 A great track along a wadi takes us to our final meeting point. 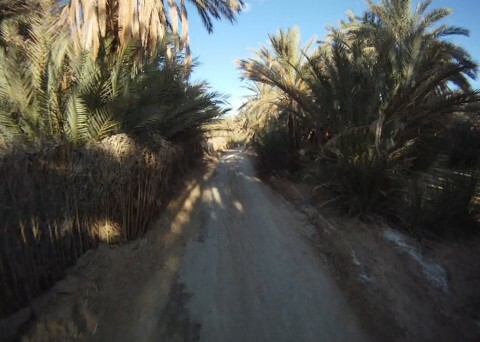 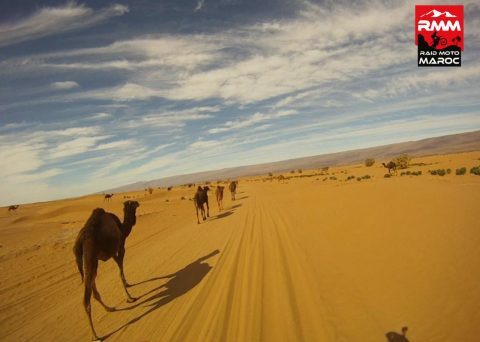 Return to Marrakech by mini bus (2h30/3h). Dinner and night at the hotel in the centre of Marrakech.